Professor Emeritus, Plant Sciences, School of Biological Sciences, University of Sydney, NSW 2000. Degrees B.Sc. (Special) Imperial College, London University 1961. Associate of the Royal College of Science 1961. D.Phil. Wadham College, Oxford University 1966. 1962-1966 Agricultural Research Council Research Graduate Scholarship, Wadham College, Oxford. (with Prof. E.A.C. MacRobbie, FRS). Pennsylvania (with Prof. Britton Chance). 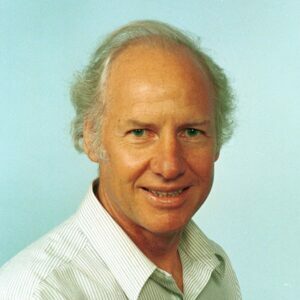 1969-1994 Lecturer, Senior Lecturer, Associate Professor in Plant Physiology, University of Sydney. • 1994-2000 Personal Chair in Plants Sciences, University of Sydney. 2001-2003 Professorial Fellow, Plant Sciences, University of Sydney. Has supervised over 40 PhD and MSc students and examined an equivalent number for other Universities. 8 Books and over 230 articles in refereed scholarly journals (see publication list). 2. Second edition of “Photosynthesis in Algae”. Salih, A., Larkum A.W.D., Cox, G.C., Kuhl, M. and Hoegh-Guldberg, O. 2000. Fluorescent pigments in corals are photoprotective. Nature (Lond) 408, 850-853 (501 Citations). AWD Larkum, G A Kendrick, PJ Ralph. 2018. Seagrasses of Australia, 2nd Edn. Springer 797pp. Larkum, AWD, Waycott, M, Conran, JG. 2018. Chapter 1. Evolution and Biogeography of seagrasses. In; AWD Larkum, G A Kendrick, PJ Ralph. 2018. Seagrasses of Australia, 2nd Edn. Pp. 3 – 29, Springer, Berlin. Larkum, AWD,Pernice, M, Schliep, M, Davy, P, Szabo, M, Raven JA, Lichtenberg, M, Elgetti Brodersen, K, Ralph, PJ. 2018. Chapter 11. Photosynthesis and metabolism of seagrasses. In; AWD Larkum, G A Kendrick, PJ Ralph. 2018. Seagrasses of Australia, 2nd Edn. Pp. 315 – 342, Springer, Berlin. Larkum AWD, Ritchie RJ, Raven JA. 2018. Living off the Sun: chlorophylls, bacteriochlorophylls and rhodopsins. Photosynthetica (Prague) 56: 11 – 43. Pei-Chuan, T et al. 2018. Photosynthesis and Hybrid Vigour. Plant Physiology, in review. Cardona, T., Sanchez-Baracaldo, P. Rutherford, W. and Larkum AWD. 2018. Early Archean origin of Photosystem II. Geobiology .